Spring is finally upon us in Michigan. For most of us, this is good news for several reasons. One of those reasons is the road conditions will be improving and work commutes will be less stressful. However there still are some things to be mindful of while driving, even if the ice and snow have melted. Did you know that winter is not the season in which the most accidents occur? According to data from Nationwide, the most accidents occur in August, not January. Although we’re not quite into August yet, this data indicates that the total amount of accidents have been higher while there wasn’t a single bit of snow on the ground. 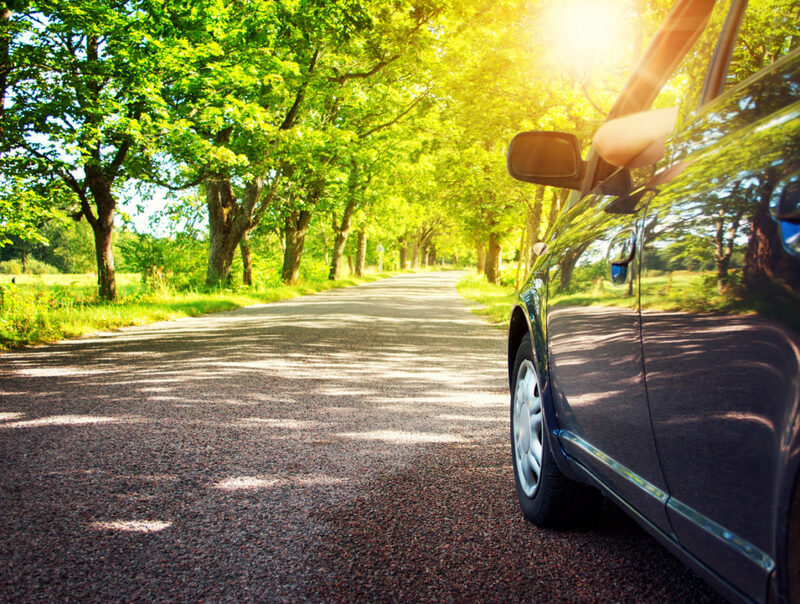 With that in mind, here are some tips to stay safe and avoid an auto accident this spring. If you’ve been driving in Michigan for awhile then you know all about these potholes. Some of them so large they seem like they could swallow a small vehicle. Look ahead. Watch for traffic patterns. Are other vehicles slowing down to avoid them? Don’t tailgate as this decreases your visibility ahead of you. Avoid puddles as they are likely hiding a large pothole. If you hit a pothole drive straight through it. Turning your wheel will only cause more damage to your tire’s sidewall and face of your wheel. Spring is the season where wildlife is coming out hibernation and are beginning the natural cycle of hunting and mating. Unfortunately these animals don’t obey traffic laws and can cross your driving path at any moment. For this reason, it is important to tweak your driving skills in the spring and be mindful of the extra wildlife on the road. This is especially true at dawn or dusk or in wooded areas. Motorcyclists and cyclists will be eager to get out on the road and enjoy the warmer temperatures. Remember, there is no such sing as a fender bender for motorcyclists and cyclists. Most accidents involving motorcyclists and cyclists result in severe or fatal injury. Be extra cautious when passing a motorcyclist, and stay back from motorcycles at least one car length per 10 mph. Be sure to slow down and pay close attention at intersections as this is a busy place for cyclists. When the temperatures start to rise road speeds tend to also increase. The radio gets turned up and the windows get rolled down. It’s a great feeling to be out driving on a sunny afternoon. But don’t forget you are in control of a vehicle that could potentially harm you or others on the road. Speeding will increase the likelihood of an accident due to all three items mentioned above: motorcyclists and cyclists on the road, potholes and animals crossing. As a driver and even a pedestrian be mindful that drivers tend to speed more during warmer weather. Parents should also keep a close eye on children playing, especially if you live on or near a main road. Looking for a Collision Shop in Macomb County? We hope this article will help you stay safe and be a better driver this spring. But if you find yourself in an auto accident, the last thing you need to worry about is where to take your vehicle for collision repairs. If you are looking for an collision shop in Macomb County, look no further than Pole Position Auto Body. For over 29 years we have been providing high quality collision repairs – nearly 3 days quicker than the average facility. Where Excellence is a Habit, Not an Act!